Now, there are lots of programming languages out there to choose from, and I don’t believe in competition between them. All languages were created for a specific reason, and have evolved and contributed in some way to the technological advances of our times. Pitting them against each other usually ends up watering down the main reason the language was conceived. Java is an Object Oriented language. It internally embraces best practices of object oriented design and strongly suggests that you learn and follow them. It also heavily promotes correct usage and many of the documented Design Patterns use Java as the language de facto. Understanding design patterns can lead to much more maintainable code. The IDEs available for Java will blow your mind. Due to its strong typing, you’ll not only be notified immediately of errors, but you’ll also be given suggestions that will refactor and reformat your code with clear explanations and extreme ease. After using them, most people wonder how they ever coded before. There are tons of open positions waiting for you due to Java’s widespread reach. Many different sectors embrace the language, and you can be pretty certain you’ll land a job in just about any job market you’d like. 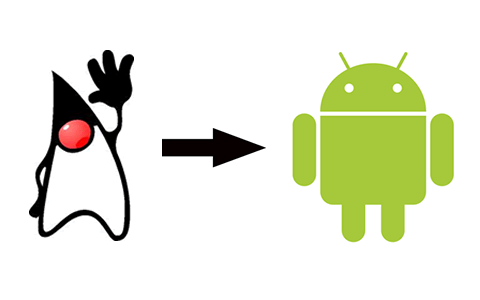 All Android Apps are written in Java. By taking our Android Development track, you can publish that app you’ve always dreamed of building. Java is a verbose language, which at first can seem daunting. However, after learning the basics you’ll find that you can easily grab onto more advanced concepts because the code is very explicit. Plus, there are great courses (wink, wink, nudge, nudge) out there that can ease you into this powerful language. So what are you waiting for? It’s time to learn Java. Earn a Techdegree and become a certified Java Web Developer. Java is widely accepted by organizations and general user. It’s simplicity makes the language more beautiful. The basic concepts are same as any object oriented language. Oracle yet has lot to release. Oracle has recently declared to release it’s few updates in every six months instead of releasing it at once in years. i was looking for the similar information as i want to start to learning java and was looking for the best reasons to learn java. Here you have shared in details and to the point which i was also found right and perfect. Thanks for sharing this article! Yes java is secured and portable. Basically its the oops concept which make it more secured and portable. Thanks for sharing. Java programming language is omni present. Due to its stability and scalability, you can find Java on mobiles, desktops, large scale applications etc. The same can also be said about Java programmers who easily outnumber other professionals. Java is also gaining big in the field of Internet of Things (IoT). Thanks for your article, it helps me to have more confidence when learning java! A friend of mine is really big into computers, and we were curious about what he could benefit from learning Java! One thing that really stood out to me is that they can actually help you find a new job! Since he is trying his best to make money, it would be nice to have the upper hand. According some info online Oracle seems to be losing interest in Java’s future whether this applies to Java as a language or Java’s tools I’m unsure, though I take that with a grain of salt I have been wondering about Google’s Go language recently. It would appear Go is taking Python by storm and folks even touting it be a better C++ because of it’s simplification and GC. Only thing missing with Go at the moment is more web resource, information and books. It seems to be lacking in that department as the language seems to target existing programmers. hi i want to learn java programming from ground level. how much time will it take to become proficient in java?? i am 25 years of age. is it too late to become java developer???? Java never dies. If a person learn Java then he can easily adopt to any language in a shorter period of time. This article really highlighting the value of learning Java. I’m learning C++ these days… And I’m interested in learning Java. So could u please suggest me… What should i do? I mean…should i finish c++ first then start learning Java or continue both languages together? Amit, focus is about saying No to great ideas, I’d personally suggest that you conquer what you are currently doing, before you explore new territory. Taking two programming courses at the same time will only serve to dilute your effort. Java rocks, its one of the languages that keeps getting better over time, but since its heavily driven by object oriented approach its really not that easy to learn. Although I am yet to learn anything about Java (will be following the new Treehouse course shortly) I do know that it is a very popular language to learn. From games to android development, Java seems to have so many varying applications. I’m looking at an exciting job opportunity at the moment. The company specialise in using JAVA for casino equipment, software, monitoring systems etc. Their whole development team uses Java. They are planning on transitioning to some Android development so it all fits very nicely. This article has convinced me to pick up Java. Hope it helps, and let me know if you’d like more info! I’m looking to get a job as a Java developer seems to be lots opportunities for careers which is very encouraging for someone who is learning. also loving the Android courses at treehouse and looking forward to more Java courses in the future. do you have any advice on landing that Java dev job other than mastering the language. “Ease of learning?” Surely you’re joking. In randomized tests of new programmers, Java and Perl rated as the hardest-to-learn of all programming environments. The naming conventions, scoping rules and development cycle are so confusing that new developers struggle as much with Java as they would with a programming language in which the parser symbol set was randomly generated! There’s a lot of money in Java. There is. But don’t mislead people by making them think it’s a breeze. Java is a hard language to master. Thanks for your response, I appreciate your feedback! I definitely was not trying to mislead anyone, in fact, I guess I should say, it’s getting a lot easier to learn Java. We just launched our Java Basics course a week ago, and that is the feedback that we are receiving. Online course using video, coding challenges and a personal virtual machine, gets people coding immediately and at their own pace. It seems like a great easy way to learn the language. Our students are definitely learning and grasping the syntax and concepts that they were presented, much better than I had ever anticipated. Mastering any programming language takes time and dedication. I don’t think this is unique to Java. It does seem that you’ve had a few bad encounters with the language and I am sorry to hear that. I do welcome you to come and take the Java Basics course and see how I did at presenting the concepts. I’d love your feedback and ideas in how to make this an even easier experience.